stock exchange | Finance & Economics!!! As it is known shareholders want managers to maximize firm’s value, such that the return on their invested funds will be higher. We can determine the value of their investment by knowing the price of the share/stock they invested in and the number of shares that they purchased. Here we can distinguish two types of companies, private and public companies. Private companies have a limited number of shareholders and their shares/stocks are not traded publicly, therefore the value of investment can be difficult to determine; however, many companies are public companies, which means that their shares are traded on some special markets called a stock market (or stock exchange). These markets determine the price of these shares and provide liquidity to the company, because of continuous investment opportunities in the listed companies. A liquid investment is the one at which you can sell it at a price very close to the current purchasing price. This means that if, for example one invested in some stocks, then he can sell these stocks at the price that other people are currently buying these stocks in the market. Liquidity is attractive to outside investors, because it provides flexibility regarding the investment timing. When a firm issues new shares and sells them to investors, they do it on primary market. Afterwards, these shares continue to be traded between corporations and investors in the secondary market. In the latter market no action is required from corporation’s side. For example, if you would like to purchase Apple’s shares, you place an order on a stock exchange (let’s say NYSE), then you will purchase these shares from someone who held them before, not from the Apple company directly. The largest stock market in the world is the U.S stock market called New York Stock Exchange (NYSE). Another well-known U.S stock exchange is the American Stock Exchange (AMEX), the National Association of Security Dealers Automated Quotation (NASDAQ). Other countries have at least one stock exchange, ex: Tokyo Stock Exchange (TSE) and London Stock Exchange (LSE). The NYSE is a physical place. On the floor of NYSE, market makers connect buyers and sellers. They make two prices for every stock they make market for: the price these market makers are willing to buy the stock (the bid price) and the price for which they are willing to sell the stock (the ask price). If a customer comes and he/she is willing to purchase some shares at this price, they will “respect” their official price (up to a given number of shares) even though there might not be another investor who is willing to take the other side of this transaction. 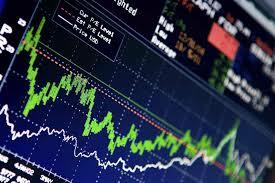 Therefore, they can assure liquidity of the market and that they trade at the given prices. One rule of these exchange markets is that the bid and the ask prices aren’t too far apart and that the large price change occurs as a series of small changes in the price of these shares. Ask price is always higher than the bid price and this difference is called bid-ask spread. A person who is buying a stock pays the ask (the higher price) and when he/she sells the stock, he/she gets the bid. This bid-ask spread is a transaction cost that is paid in order for this trade to occur. Since the market-makers take the other side of the transactions when investors are coming, this cost is revenue for them for maintaining the market liquid and for respecting the price that they set in the market. It is also the case that some investors pay additional taxes, like commissions. This type o market doesn’t have any physical location. Investors can make these transactions by phone or internet. Therefore in this case there are more market makers that set different prices for the stocks that they trade. 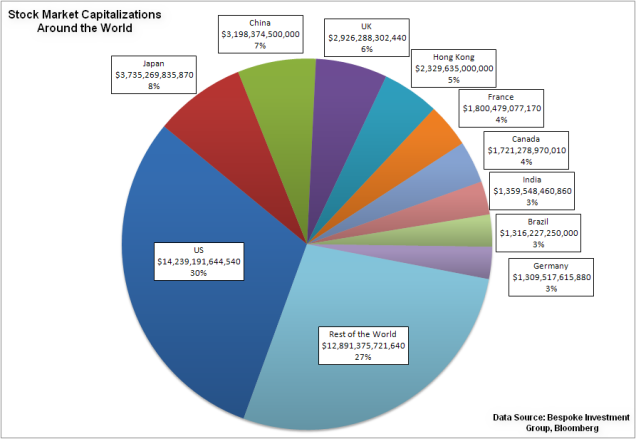 In contrast to NYSE, at NASDAQ these multiple markets make these investors to compete with each other. Best prices are posted in NASDAQ in the beginning and orders are filled accordingly; therefore, investors get the best price, whether they are selling or buying these stocks.